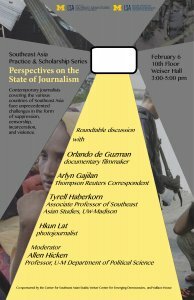 Contemporary journalists covering the various countries of Southeast Asia face unprecedented challenges in the form of suppression, censorship, incarceration, and violence. 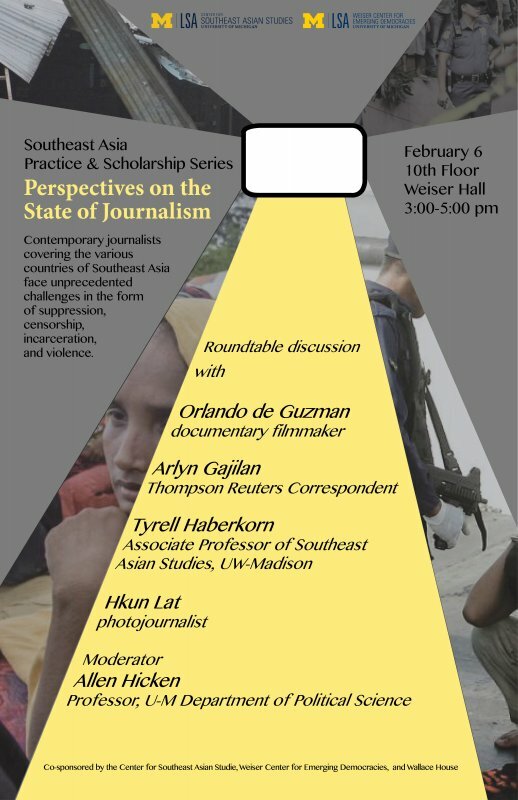 This roundtable discussion presents perspectives from Myanmar, Thailand, and the Philippines. If you are a person with a disability who requires an accommodation to attend this event, please reach out to alibyrne@umich.edu at least 2 weeks in advance of this event. Please be aware that advance notice is necessary as some accommodations may require more time for the university to arrange.